Manager Ivan Golac maintained his record of never having lost the first game in charge of any of the clubs he has managed and a draw was probably just about the right result. 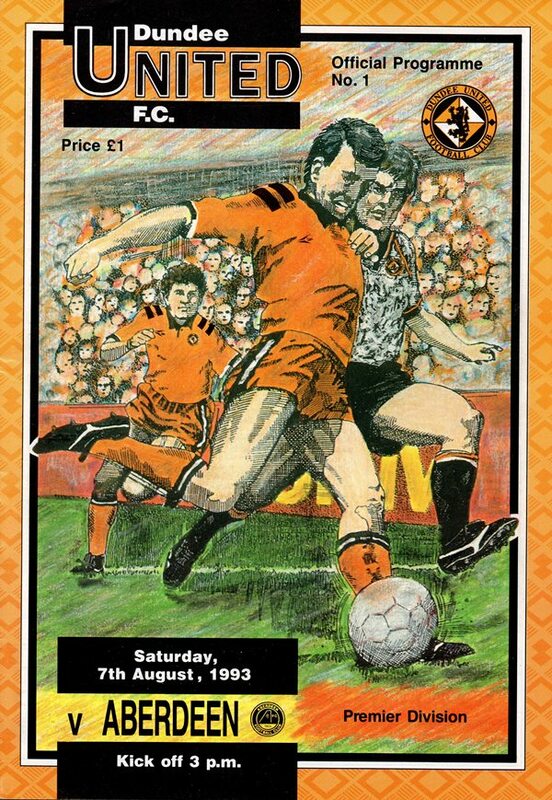 The kick-off was delayed ten minutes to let the large crowd in and they got their first sight of United's new look formation in which Billy McKinlay played just behind the front men. This had Aberdeen guessing for the opening 30 minutes, but it wasn't until seven minutes before half-time that United went ahead. Alan Main's goal-kick was headed on by Christian Dailly. The presence of Paddy Connolly distracted the two Aberdeen defenders, allowing Billy McKinlay to race on and he stroked the ball in at Snelders near post from exactly 18 yards for his first goal since scoring the equaliser against the Dons last December. 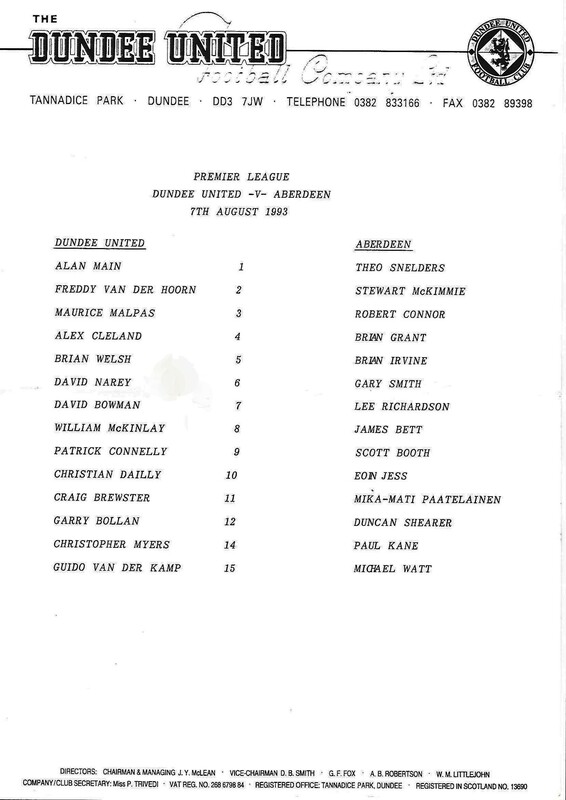 Aberdeen's response was a mini siege around Alan Main's goal with Mixu Paatelainen heading just over and then hitting a swerving 20 yarder which Alan Main could only parry and Booth scrambled the rebound narrowly past. 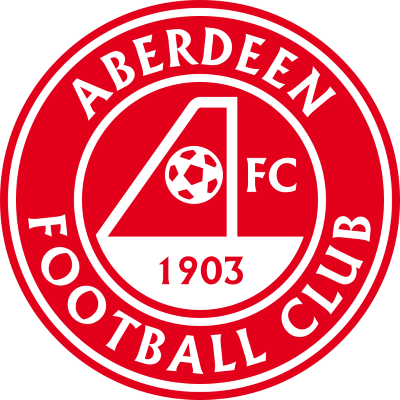 Early in the second half there were no takers when Christian Dailly laid an enticing ball across the face of the goal, but the second half was dominated by Aberdeen in terms of possession, though they failed to carve out many clear-cut chances. Indeed, only a touch by Snelders prevented Christian Dailly adding a second as he got his head to a long ball, but we paid the price for sitting back with quarter of an hour remaining. 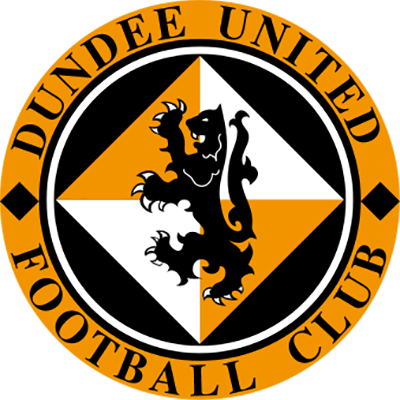 Bett's free-kick was headed on by Paatelainen and Richardson dragged the ball wide before his cross into the middle was side-footed high into the net by Scott Booth with the Tannadice defence in some disarray. Craig Brewster who made his debut had a quiet game and obviously would need time to adjust to the pace of the game. Ivan Golac was generally pleased with his first match in charge, but not at all about the manner in which we the goal that deprived us of an opening day victory.